commented on "Bake Face Matte Translucent"
Skin O2 Bake Face Powder is a transparent, feather light powder used to set under eye concealer, brighten dark circles, and conceal dominant signs of fine lines. commented on "Concealer Perfect Skin & Highlighter"
Highlights & illuminates to create more youthful volume. Defines & treats your skin while you wear it! 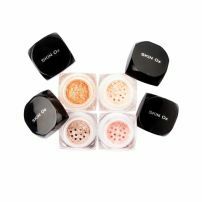 commented on "Gold Spice Highlighters Box Set by Skin 02"
Contour and add a pop of colour with our amazing selection of mineral blushes. commented on "Mineral Makeup Primer 30ml by Skin O2"
Essential base before all make-up application! 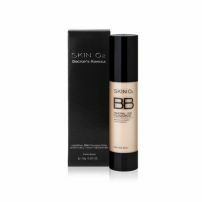 commented on "Mineral BB Foundation Fair 50ml by Skin O2"
Protect sensitive skin from premature ageing. commented on "Facial Tint SPF 30+ Sunscreen by Skin O2"